A knife attacker who stabbed a young man to death in Paris on Saturday night was a naturalised French citizen born in Russia's Chechnya region. 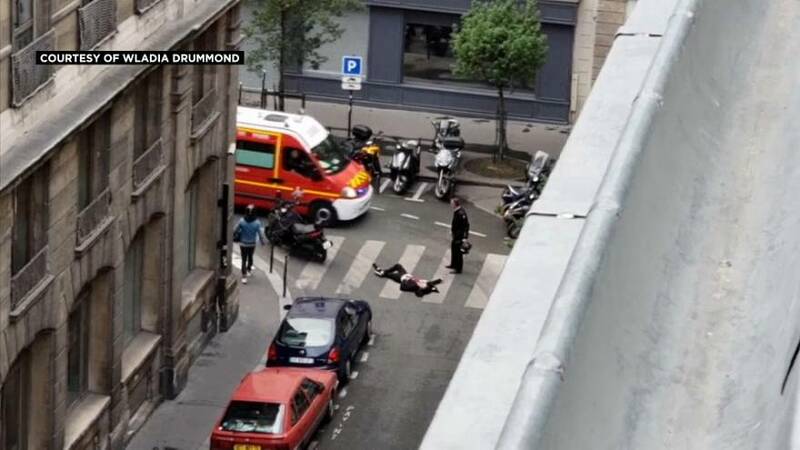 The man, who was named by a source in the judiciary as "Khamsat A" - without giving his full name - shouted "Allahu akbar" as he also wounded four others, among them a Chinese and a Luxembourg citizen. A police union spokeswoman said the attacker had rushed at nearby officers shouting "I will kill you, I will kill you!" after stabbing bystanders. He was then shot by the officers. The attack took place in the busy Opera district known for its many restaurants, cafes and the Palais Garnier opera. Judicial sources said the assailant's parents as well as a friend of his were being held for questioning. The friend, arrested in the eastern French city of Strasbourg, was born in 1997, a source said. It was one of a succession in France in which more than 240 people have died since January 2015, keeping the country on high alert. France is part of a U.S.-led coalition fighting Islamic State in Syria and Iraq and has thousands of soldiers in West Africa, where al Qaeda-linked militants are active. The 21-year-old assailant had been categorised as "fiche S" since 2016, government spokesman Benjamin Griveaux said - a designation officials use to flag people who may be a threat to national security. He became French when his mother obtained citizenship in 2010 Griveaux said. Islamic State claimed responsibility for the attack via its Amaq news agency, but provided no proof.